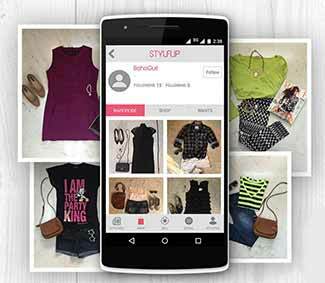 Mumbai-based Placard Digital Solutions Pvt Ltd, that runs StylFlip, a mobile-only platform for used fashion goods for women, has raised an undisclosed amount in funding from real estate developers Raj Gala Shah and Zaheer Memon. The funds raised will be used to develop its platform and for marketing, The Economic Times said. "The app is seller-centric, making it easy for women to turn into entrepreneurs using their unwanted buys into cash generators to fund their next purchase," said Zarik Nabi, co-founder of StylFlip, in the report. Queries sent by Techcircle.in to StylFlip did not elicit any response till the time of filing this report. Founded in November 2015 by Zarik Nabi, Stylflip is a community driven virtual wardrobe platform where users can buy, sell and discover their personal style. The mobile-only platform gives access to a curated marketplace where women can buy, sell and discover fashion through friends or like-minded people. Users can click a photo of the item that is to be sold, provide the appropriate product description and upload it on the site. The product is then physically checked for its authenticity after a scheduled pickup. Once a buyer confirms the successful receipt of the product, the money is credited into the seller's bank account. While sellers are paid 100 per cent of their asking price, StylFlip applies a small mark up over the price before listing the item. Styflip sells on its network a range of used fashion products under eight categories that include clothing, bags, ethnic wear, gym & sportswear, shoes, sleepwear, wedding and accessories. An engineering graduate and an MBA by qualification, Nabi had previously served at Brandscope, the brand management division of Bennett, Coleman & Co Ltd. In the fashion resale e-commerce space, Stylflip competes with Confidential Couture, Elanic, Spoyl, Envoged, Zapyle and Refashion. In August 2015, Envoged raised an undisclosed amount in seed funding from Nijhawan Group's Ankush Nijhawan, Mediology Software director Manish Dhingra and AMG Investment's Gaurav Bhatnagar. Zapyle, which allows users to buy and sell pre-owned luxury wear, raised $1 million in seed funding from a bunch of unnamed real estate firms and investment companies in Bangalore, in September.